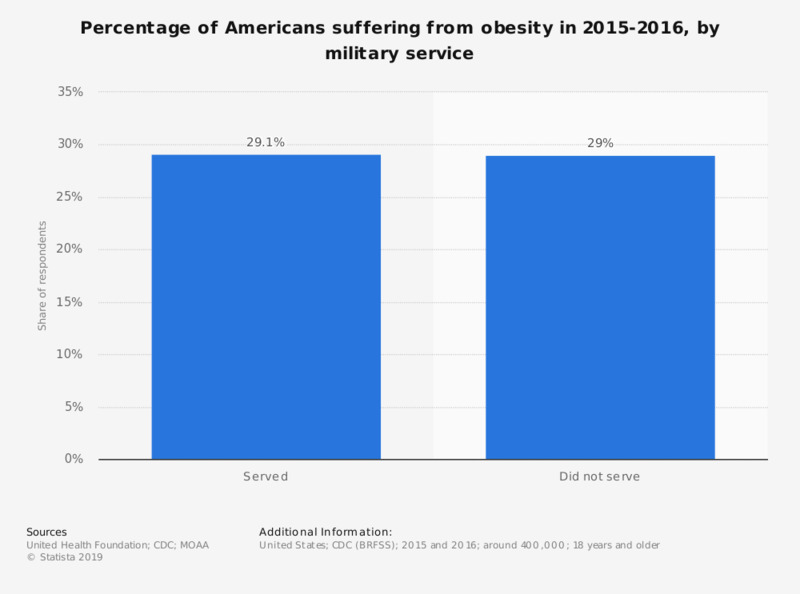 This statistic shows the percentage of adult Americans with obesity among those who have served/not served in the U.S. military in 2015-2016. It was found that 29.1 percent of those who served in the U.S. military were obese, compared to 29 percent who did not serve. Percentage of adults who are obese by self-report, with a body mass index (BMI) of 30.0 or higher.